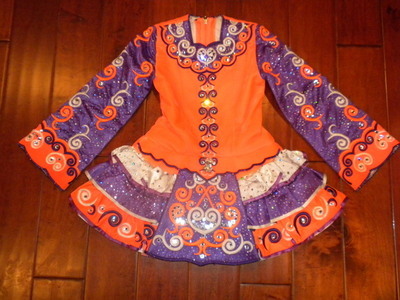 Beautiful Siopa Rince with orange velvet bodice, accented with white and purple. Bright colors, amazing stage presence-beautiful on. 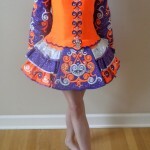 Comes with headband, crown & 2 bloomers.